~Eternal Snow~: Japan Day 1: Asakusa + Roppongi. Day 1 of the trip, 7th June 2008. 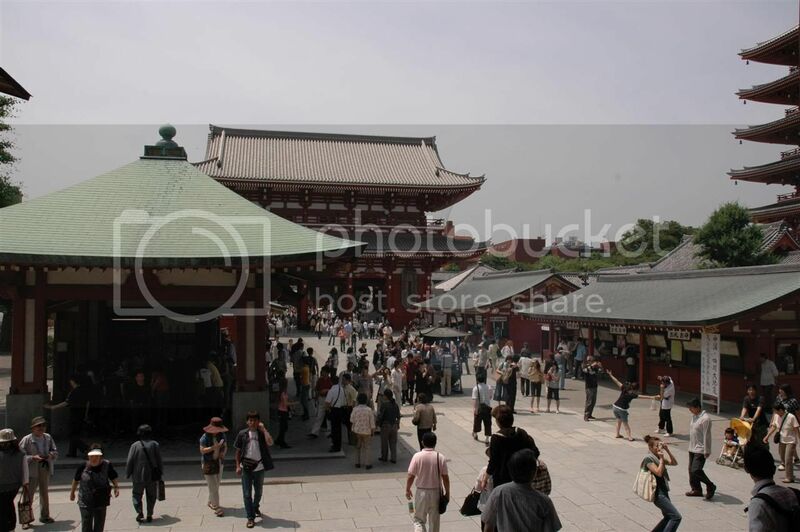 We landed early in the morning at about 7.25am (GMT+9), and once clearing customs, we headed to our hostel @ Asakusa. A long 1hr 30mins journey, we arrived at our hostel and left our luggage with them, to return back at 3.00pm to do our proper check-in. 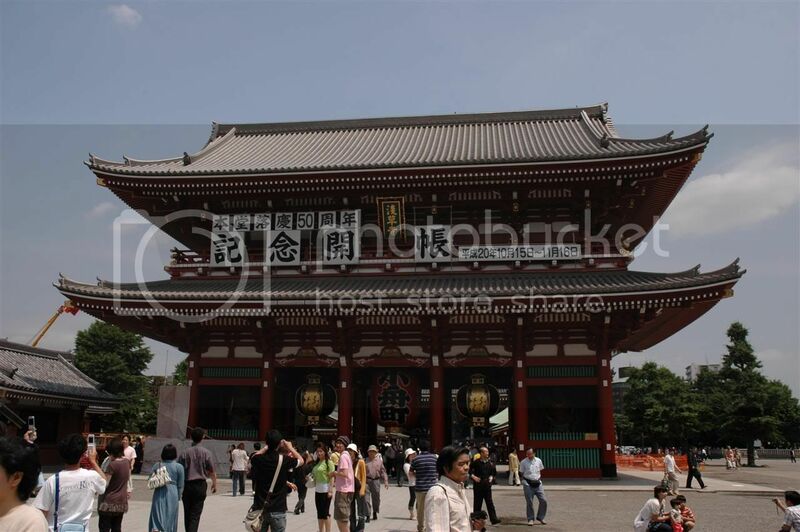 With the huge amount of time in hand, we headed to the attractions in Asakusa, mainly the Sensōji. Once past the Nakamise Street, we're greeted by the main area of the Sensōji. It's still as crowded as ever, but not as bad as a Sunday crowd. After getting bored at Asakusa, and still having too much time before we could check-in, we decided to take a walk to Akihabara, while enroute through Ueno. 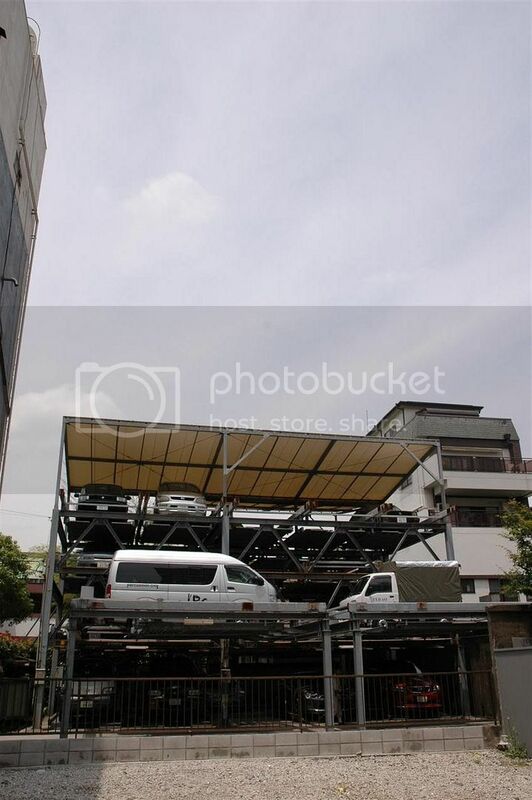 We saw this multi-level carpark along the way there, and decided to take a photo. We don't see these kind of stuff back home. After a scouting trip in Akiba, and having finished our check-in at the hostel, we took a short rest, before heading to Roppongi area. 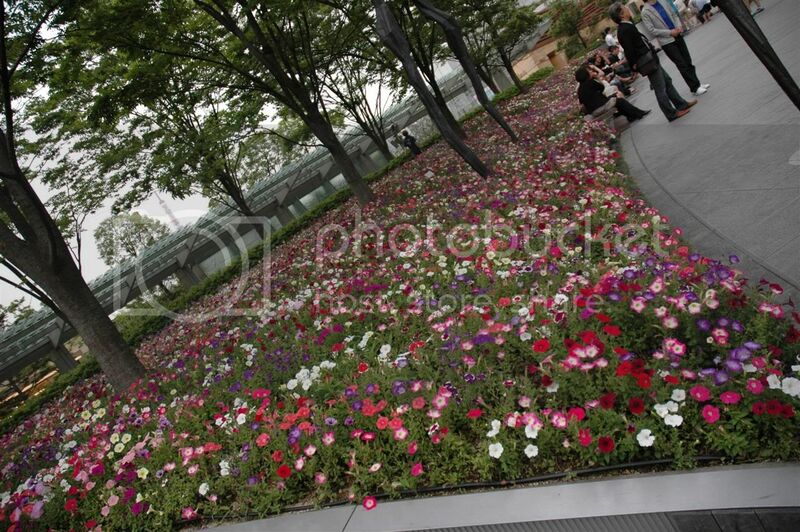 This shot was taken at Roppongi Hills, a city within a city. 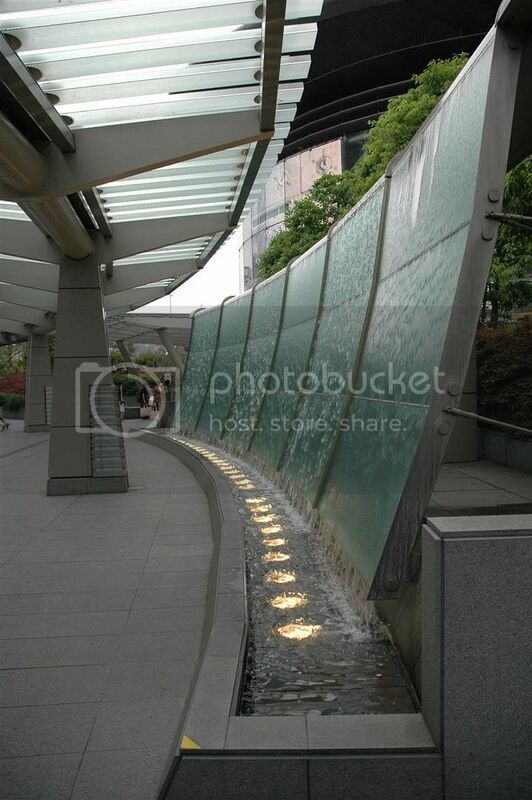 It didn't felt like we were in Japan, with all the modern arctitecture around. Lovely flowers too. Aaaahhh I want to go Holland/Netherlands to see the flower fields though. Nice work of art. 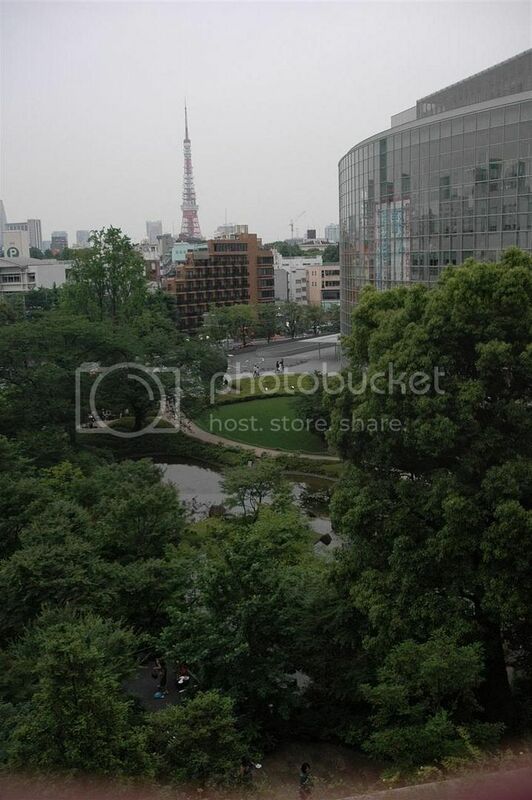 The building to the right is TV Asahi main office. 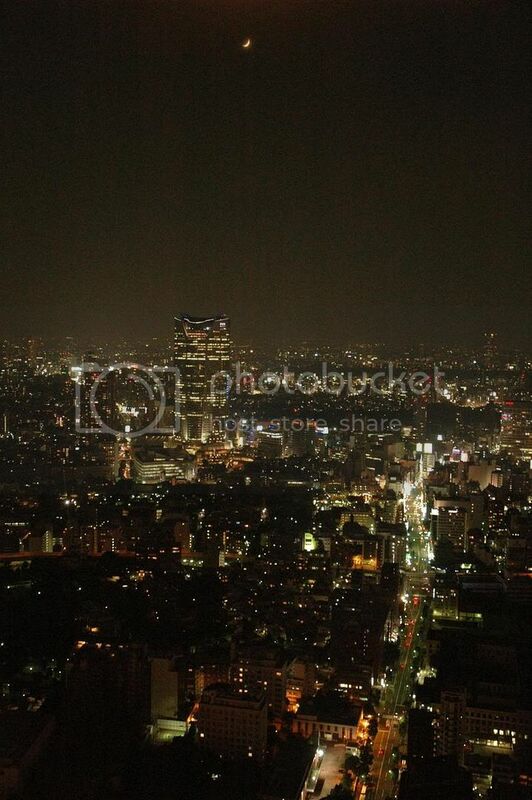 In the far distance you could see Tokyo Tower too. 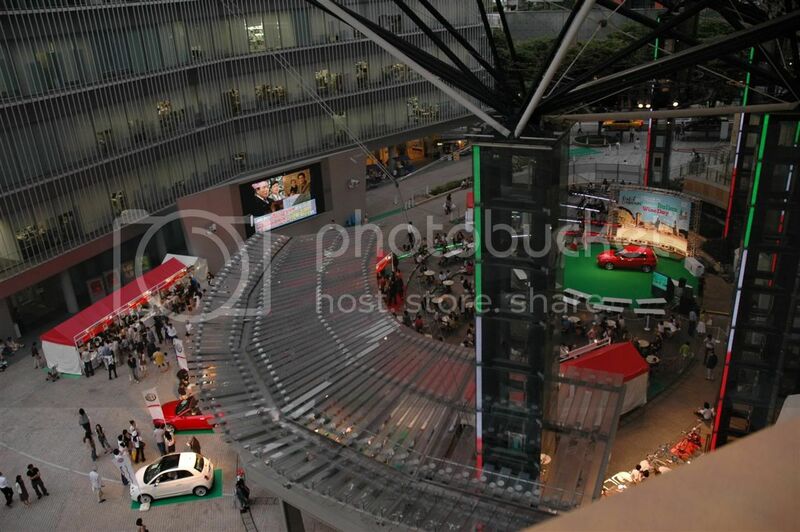 There was some Italian event being held at Roppongi Hills, with different kinds of Italian food being sold, but they costed quite abit thus I didn't have a go at it. There were a few lovely cars too, but due to horrible lighting (they positioned the lights at an angle that reflects off the shiny surfaces of the cars at the best photo-taking position bah), I don't have any to show. 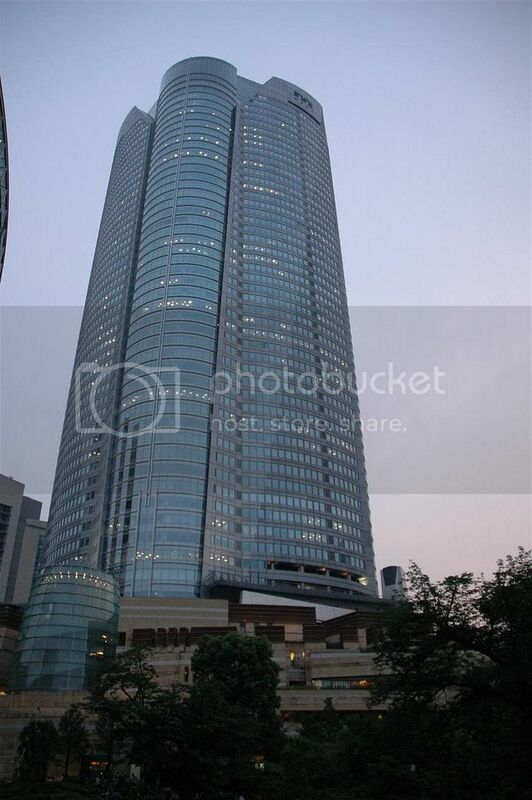 A shot of the huge building right at the center of Roppongi Hills. And another shot of the lower portion. 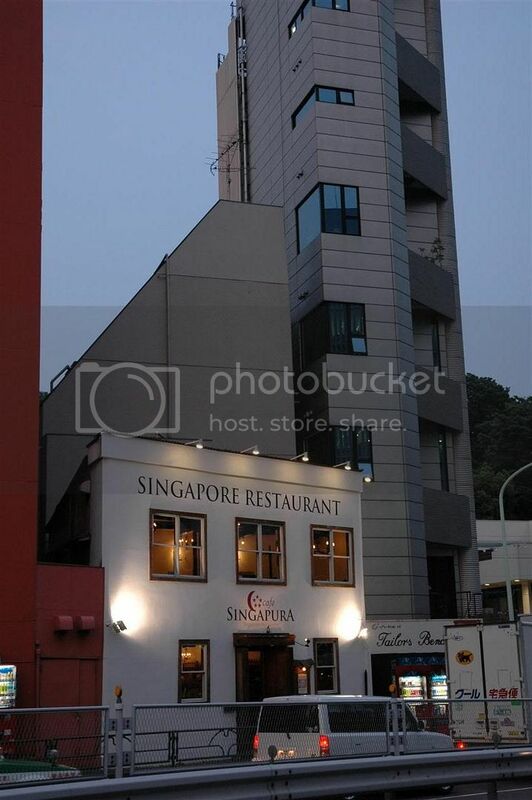 Spotted this "Singapore Restaurant" at Roppongi area, while we were walking towards Tokyo Tower. Chili Crab @ 3,500 yen anyone? They had a website, but I forgot to take it down... 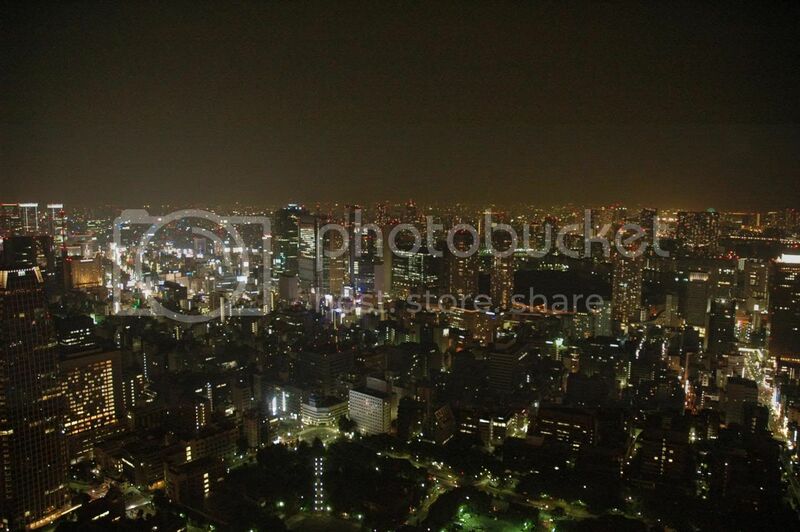 Damn -.-"
Tokyo Tower in all it's beauty at night. Btw, go to their main website and take a look at their mascots. I swear they look like condoms to me. There was one in costume walking around too and I had the urge to just tackle him too LOL. 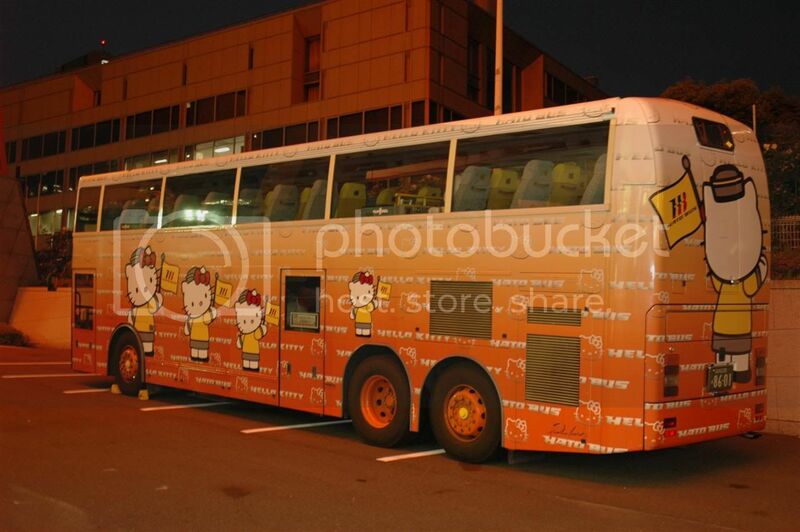 They really need to rethink their mascot -.-"
Lots of tourist in the area, and I assume this Hello Kitty bus was one of their coach. Cute, but I'm not a fan of Hello Kitty. And no I didn't go Sanrio land on this trip! 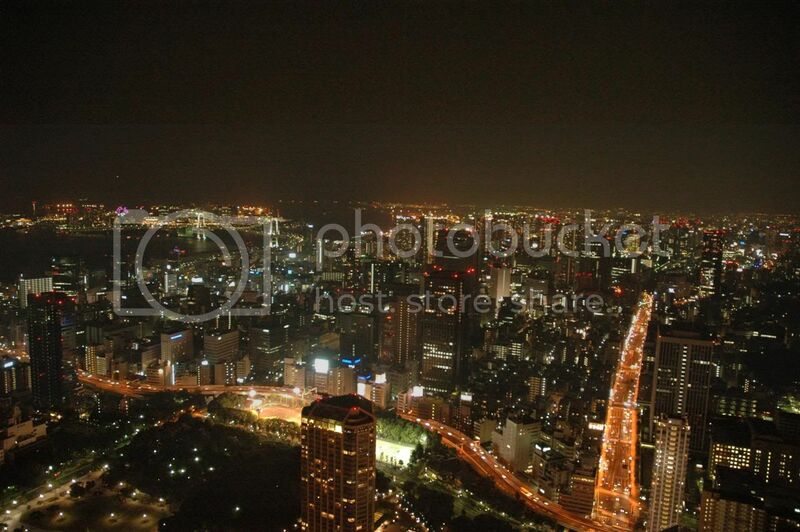 Shots taken from the special observation deck @ 250m high. It costed us a huge 1,420 yen just to go up there -.-" tourist trap!! 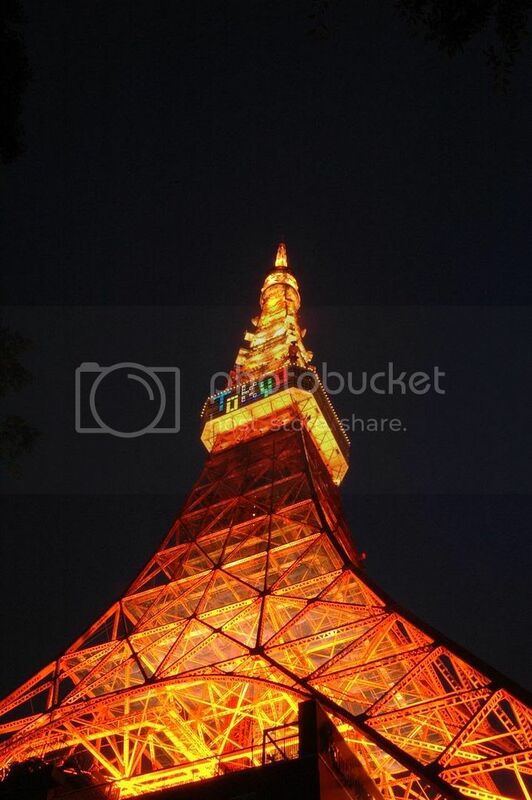 But well, going once is okay, but you'll not see me going up Tokyo Tower again. The night shots may be slightly shaky, due to the fact that I couldn't use a tripod. More shots. You can see the island of Odaiba to the top left, the ferris wheel at Palette Town, and the Rainbow Bridge that connects the island to mainland. And 1 more. I tried to capture the moon at the top in this shot, turned out pretty okay. 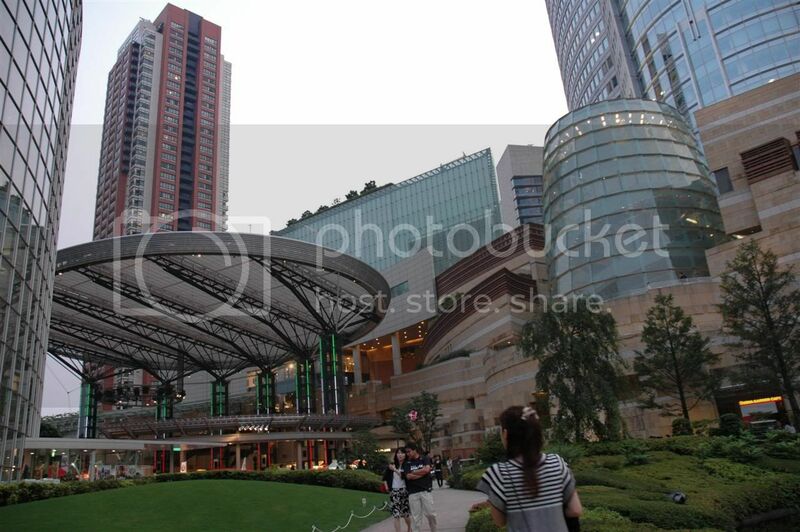 We did get abit lost around Roppongi at first, since it was also my first time going to this area (I couldn't come last time round due to my friend's leg injury on the planned day). Overall quite a nice area, with quite a number of uptown fashion brands in the area, but I doubt I'll be going back here without a reason. Why? 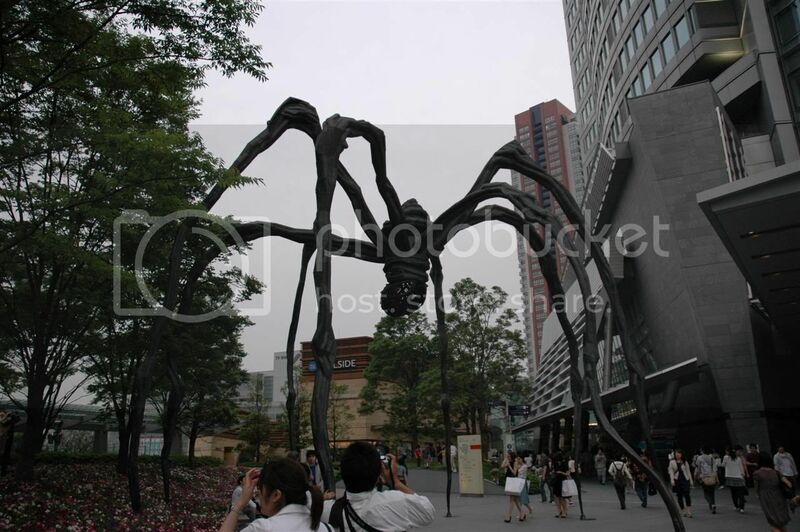 Scenery wise was just so-so; the city in the city concept is nice, but over-rated, and was a headache moving around with some bad human traffic path planning during construction; expensive eating area; for fashion, I rather head to Harajuku or Ginza for it. I might come again for the nightlife clubbing and such, but truthfully I'm not a clubbing person lol; maybe if someone brings me I will go. Anyway, that's about it for Day 1, which was abit boring, but I think Day 2 onwards related posts would be better. Stay-tuned and I'm out. There's a whole bunch of hostels located in Asakusa, it's like a mini hostel-central. Nope I didn't stay at Sakura Hostel, but at Khaosan. 2,500yen a night is cheap, but the rooms were quite small. Still wasn't too bad.